Chee Wei Wong, professor of electrical and computer engineering in the UCLA Samueli School of Engineering, was named a fellow of the Society of Photo-Optical Instrumentation Engineers. The society was founded in 1955 to advance light-based technologies and annually organizes and sponsors major technical forums, exhibitions and education programs around the world. Fellows are members who have made significant scientific and technical contributions in the fields of optics, photonics and imaging. Wong was recognized for his achievements in ultrafast optics, nonlinear photonics, quantum optics and precision measurements. 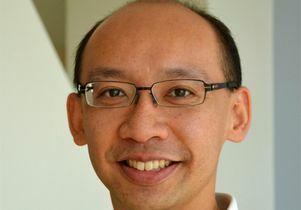 Physical and wave electronics are Wong’s primary area of focus. Wong is the recipient of the 2018 National Institutes of Health’s Early Scientist Trailblazer Award and the 2016 Google Faculty Research Award.